As Democrats frame the partial government shutdown as causing unnecessary pain and uncertainty on federal workers, the White House is on a mission to make it appear as painless as possible for the American public. WASHINGTON — As Democrats frame the partial government shutdown as causing unnecessary pain and uncertainty on federal workers, the White House is on a mission to make it appear as painless as possible for the American public. Call it a soft shutdown. Yes, 450,000 federal employees are working without pay and 380,000 workers deemed nonessential have been furloughed. But even with key departments including Treasury, Interior and Homeland Security shuttered, the administration is promising prompt tax refunds, keeping national parks and monuments accessible, paying the Coast Guard and letting it be known that food stamps are funded through February. In contrast, former President Barack Obama’s administration shuttered national parks during a 2013 shutdown, leading to a memorable moment when a group of World War II veterans came to Washington to visit the World War II Memorial but were stopped by a barricade, which the vets and GOP lawmakers moved. “One of the points that’s not really gone noticed is that this administration did not weaponize the shutdown the way the (President Barack) Obama administration did,” Trump 2020 adviser Marc Lotter told the Review-Journal. The politics are different in 2019 than they were in 2013. Obama had an incentive to make a full government shutdown so painful that Republicans trying to “defund Obamacare” would cave. After 16 days, they did. President Donald Trump wants Republicans to stand tall and make Democrats cave, or at least compromise – hence the administration’s efforts to lessen the pain. Office of Management and Budget Deputy Director Russell Vought told reporters Monday that to make the shutdown “as painless as possible,” the White House had made sure the IRS will send out tax refunds, flood insurance policies will be approved, and Fish and Wildlife refuges will be kept open for another 30 days. 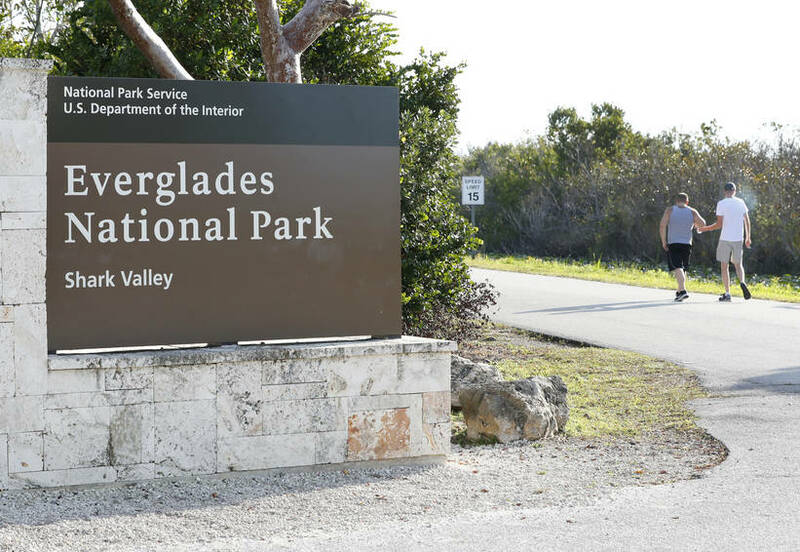 Not only are national parks accessible, as they weren’t in 2013, but also the Department of Interior plans to use park fees to pay to have trash hauled away and bathrooms cleaned. 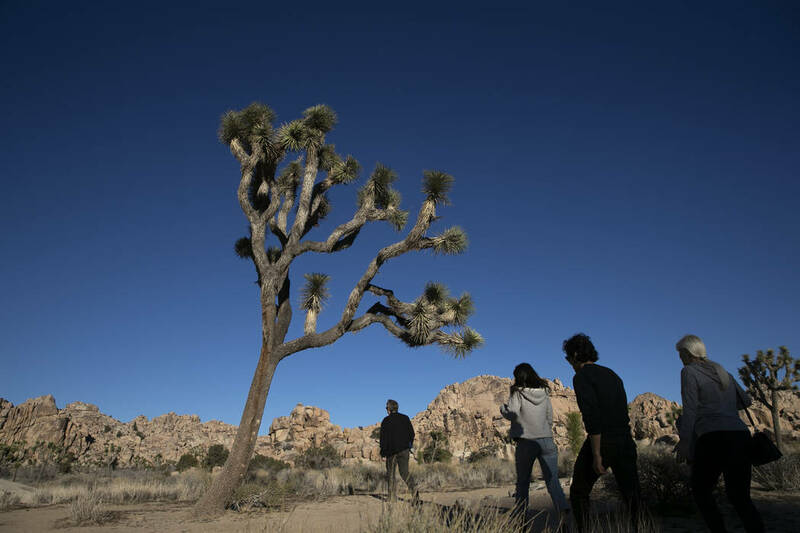 Aaron Weiss, deputy director for the conservation advocacy group the Center for Western Priorities, questioned the legality of the White House decision to keep parks accessible and use fees for maintenance instead of improvements. “Bring it on,” a senior OMB official told the Review-Journal who does not see legal challenges playing well with voters. The OMB official said the administration can fund activities to protect life and property, tap into prepaid money pots, and fund entitlement-style benefits to keep the 25 percent of government affected by the shutdown working. For his part, Weiss thinks the Obama administration was right to close parks to protect public lands. 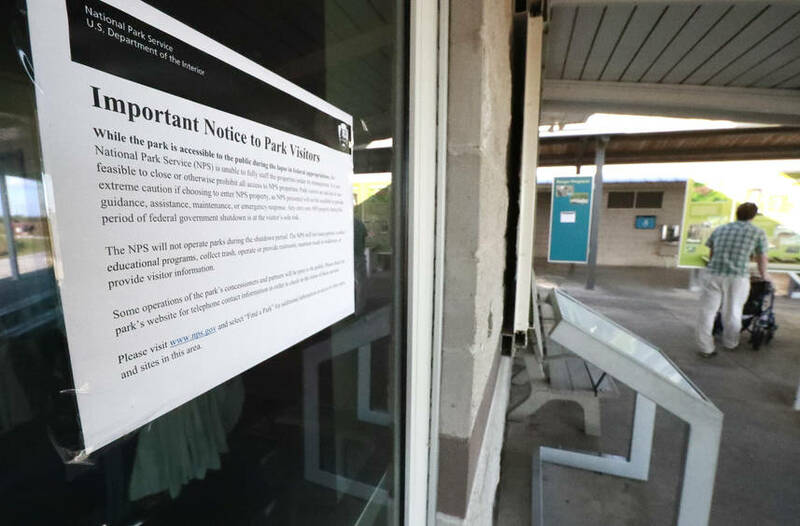 “It will be weeks, maybe months, before we know what kind of damage the Trump administration has done by leaving the gates open but parks unstaffed,” he said. Weiss’ center also criticized Interior’s Bureau of Land Management for processing drilling permits and environmental reviews for the Arctic National Wildlife Refuge, contrary to Obama policy. “There’s no reason why those permits couldn’t wait until the government is up and fully functioning,” he said. 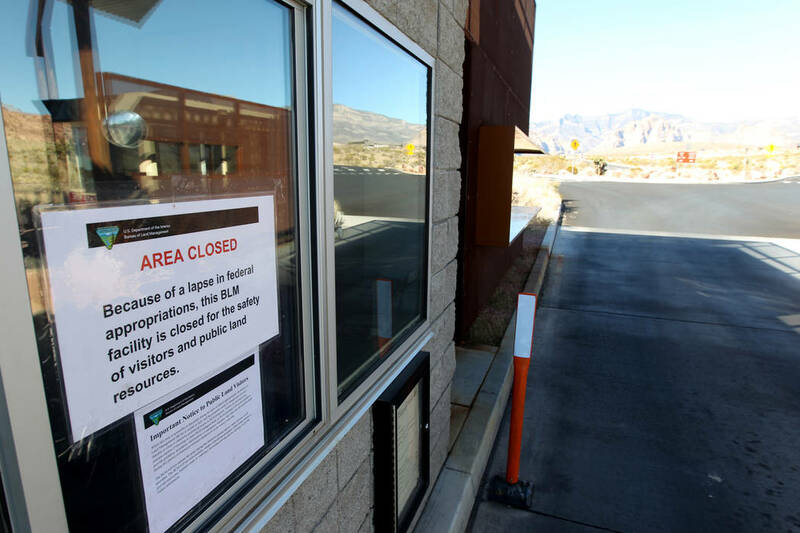 While oil and gas permits are deemed essential, the New York Times reported that 600 pollution inspectors who look for water and air contamination have been furloughed. Rep. Dina Titus, D-Nev., disagreed. 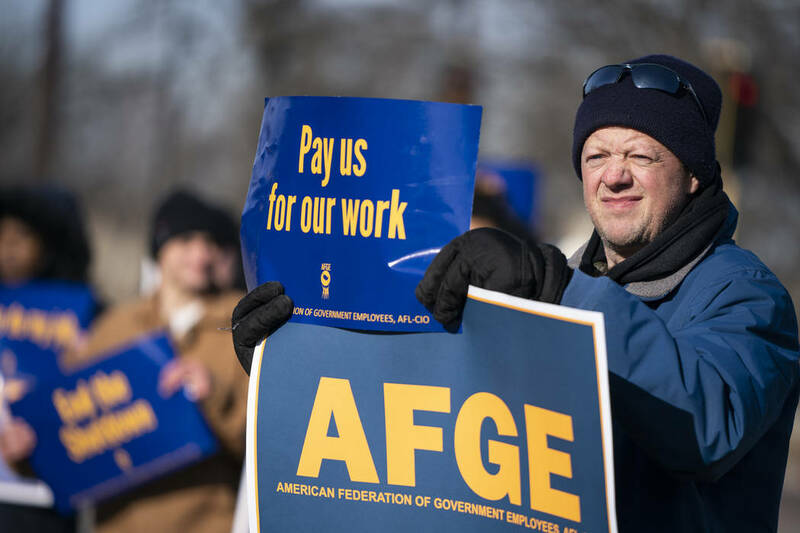 The 800,000 federal employees furloughed or working without pay will miss their first paycheck on Friday and must live with the uncertainty of not knowing when the shutdown will end. Some TSA workers “have already quit and many are considering quitting the federal workforce because of his shutdown,” said Hydrick Thomas of the TSA union. Trump continued to maintain this week that many federal workers support the shutdown because they favor border security. “They’re all going to get their money and I think they’re going to be happy,” he said. Thursday, Senate Majority Leader Mitch McConnell, R-Ky., said that Trump pledged to provide back pay for federal workers. Still, as painless as the administration wants to make this shutdown, ripples have spread to the private sector, including to CES in Las Vegas. Secretary of Transportation Elaine Chao canceled her plans to attend CES, as did FCC Chairman Ajit Pai, Commerce Secretary Wilbur Ross and others. Apparently the optics of a trek to Vegas were bad.